When it comes to casino bonuses, online casinos are always trying to ensure that they provide better deals than their competition, as a means of getting them to sign up and play on their casino site. One thing that players first notice when they play at online casinos is the ever-changing nature, with operators constantly trying to make improvements as a way of staying relevant in a highly-saturated market, as well as hoping to capture the imagination of new customers. Why have online casinos become so popular? It’s a simple question to answer. As technology has developed in all industries, players have started to take advantage of what’s on offer online, which now includes casino. Playing at a casino online is now much more popular than going to a land-based one due to their accessibility and lack of time restrictions. Another difference between online casinos and their land-based counterparts are the impact that casino bonuses have had on the industry. There are so many, and they are all different, from deposit bonuses, no-deposit bonuses, welcome bonuses and free spins. These bonuses, regardless of what they are and what type of casino games they can be used for, have helped to entice new players to join a casino online. Here at onlinecasino.ie, we had a look at a number of casino bonuses to help you decide which online casinos are worth joining and signing up to and those which should be avoided. 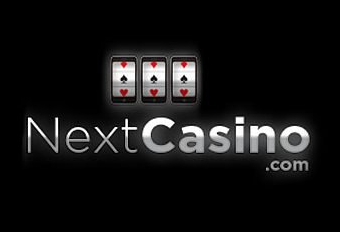 One of the ones that we’ve looked at is NextCasino and hopefully our guide will help you better understand what’s available on the casino site and what you can expect when you register, deposit and wager your money. At NextCasino, new customers can enjoy a 100% first deposit bonus when they make a deposit up to €50 on the site. On top of that, players will receive 50 free spins to wager on one of the most popular slot games, Starburst, which is developed by industry-experts, NetEnt. The welcome bonus comes in the form of a first deposit bonus, which is easy to understand. Basically, players will get an extra bonus on top of their first deposit once it is made on the site. Although, unlike many other casino sites, the deposit limits are fairly restrictive. Players must make a minimum deposit of €20 to qualify but can’t exceed €50. There isn’t a bonus code required when using this casino welcome offer. The first step of the welcome bonus and the free spins on Starburst are great, but on their second day at NextCasino, players will receive a 50% reload bonus up to €50. Using this bonus will put new players on course to join the VIP Program, which is a fantastic way of gaining more rewards at the casino. The VIP Program has seven tiers to it with something more everyone, making it one of the most exclusive loyalty programs out there. As players enjoy the casino games, they’ll earn rewards that can be converted into free bonus cash as they climb the ladder. Simply keep on winning at the games to progress to the next stage. One of the most exciting advancements in the world of online casino is the introduction of mobile gambling. Mobile gaming allows players to enjoy all their favourite games and everything that a casino has to offer, whenever and wherever they want. NextCasino have one of the bet mobile casinos out there, using NetEnt’s mobile software to power their games. It’s easy to use, slick and works on both iPhone and Android devices once you’ve downloaded from the respective app store. Players can also enjoy the mobile casino on tablet devices, with excellent graphics incorporated into all their games, regardless of whether you’re playing slots, roulette or blackjack. The introduction of mobile gaming has revolutionised the gambling industry and has made gameplay much more accessible to casino-goers. As with any bonus or promotion, like free spins, jackpots and other cash prizes, it’s incredibly important to know what you’ve signed up for, therefore you should always read the terms and conditions of the offer. Wagering requirements are a vital part of any welcome bonus and these should be looked at and checked before taking part in any promotion. They are requirements that you must fulfil if you want to unlock winnings from your bonus. NextCasino’s wagering requirements are set at 35x, which means that in order to make a withdrawal from your bonus, you have to wager it 35 times before withdrawing.